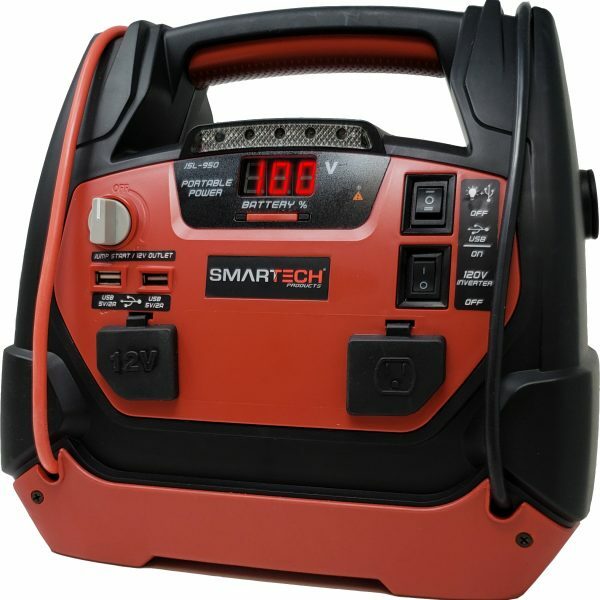 Smartech jump starters represent the next level of emergency readiness. 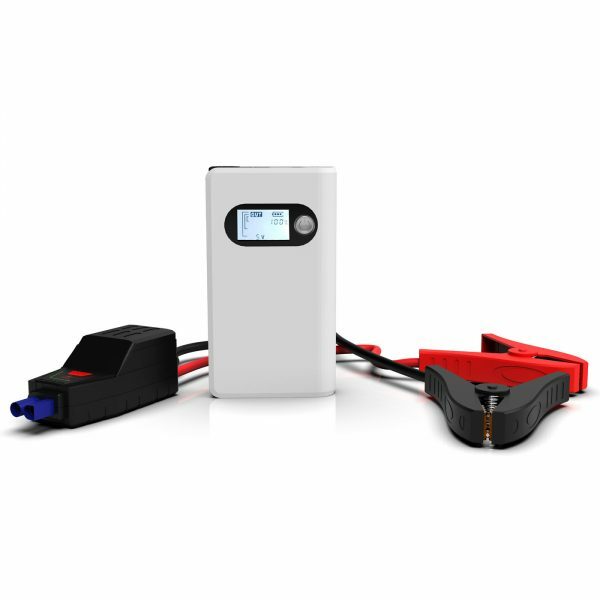 Our portable power banks are capable of jump starting up to 20 vehicles on a single charge and can stay powered up for over a year in storage! 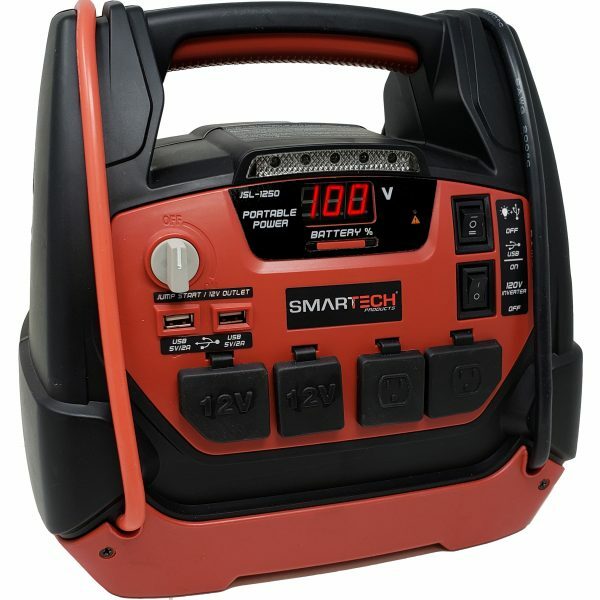 Cold weather can drain your car’s battery but Smartech jump starters will give your alternator an instant boost, letting you get back on the road quickly so you can arrive on-time. 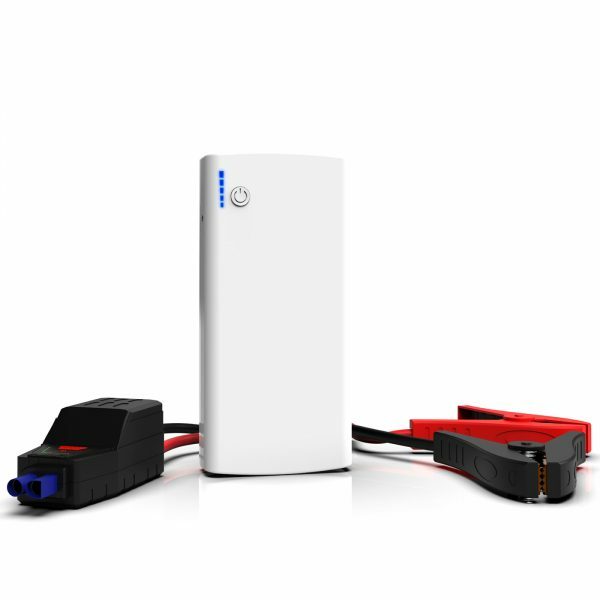 Your jump starter kit comes with 12v DC adapter, wall and car charger, jumper cables, USB cables, and available universal laptop charger. 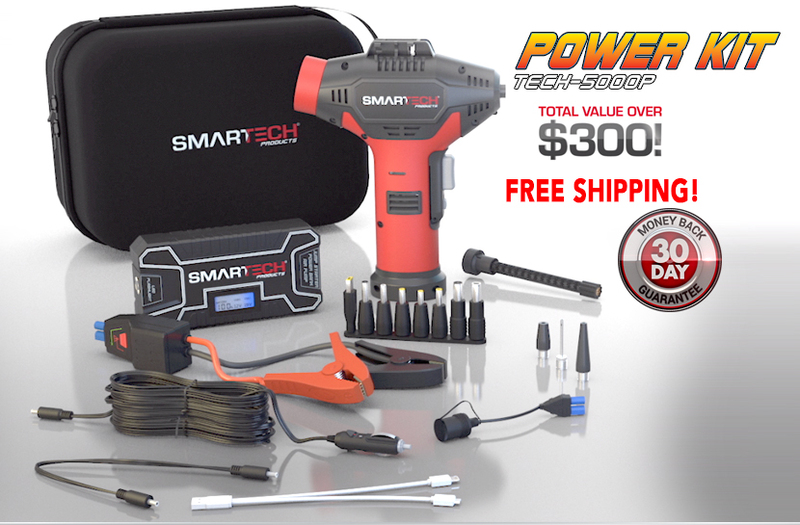 You can use it to not only power smartphones and tablets but laptops as well! Get an extra 30 minutes of laptop battery life, so you have time to finish that last paragraph and save your work. 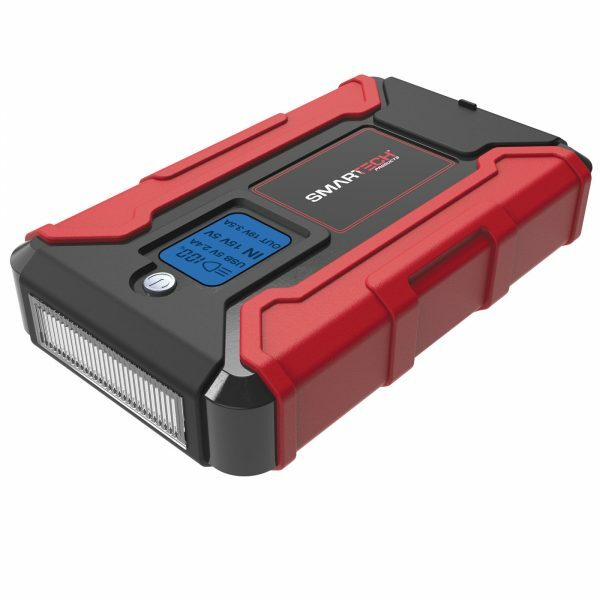 The Smartech Jump Starter + Portable Power Bank is ideal for all motorists. 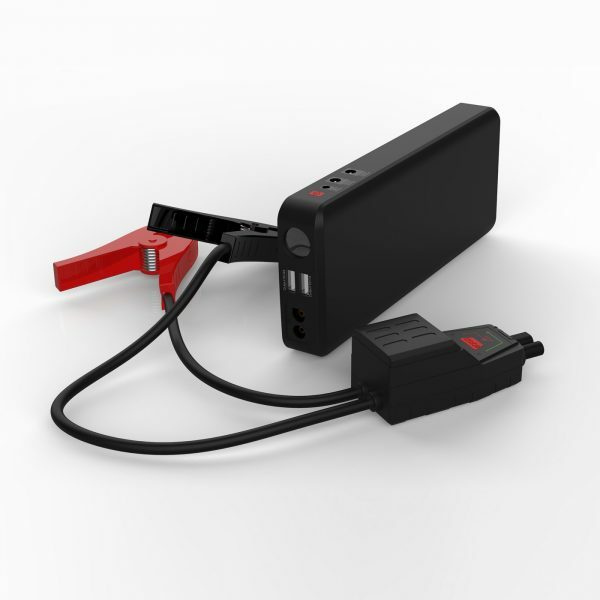 It takes the frustration and guess-work out of jump starting your car’s battery in a convenient, zippered pouch. 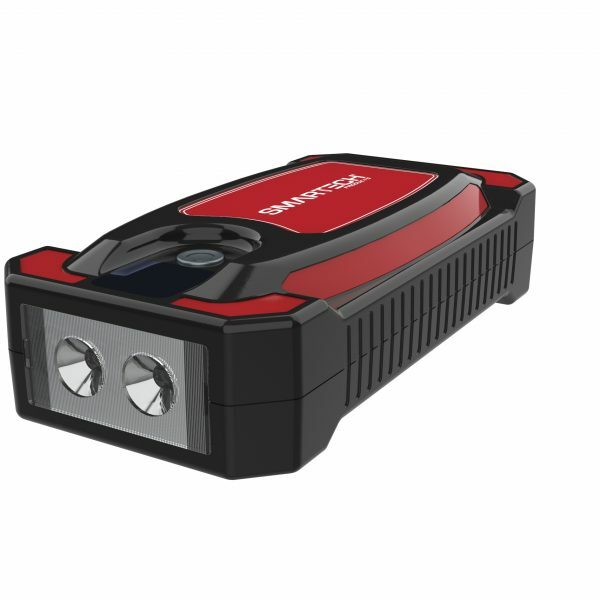 Smartech jump starters feature a powerful, built-in 3 watt LED flashlight with 3 modes – Steady, Strobe, and SOS – so you’re never without power or light.